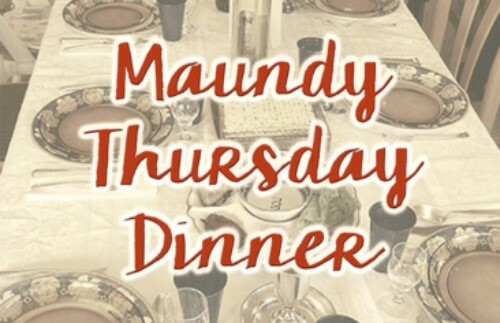 Trinity Families, join us on Maundy Thursday, April 18th at 5:45pm, in our Fellowship Hall for a meal before worship. This dinner will be provided by Trinity’s Fellowship Committee. Please sign-up in the back of the sanctuary or on sheet posted by the church office door. Indicate family name and number attending to help the committee estimate how much to prepare. Also, please consider bringing a dessert to share.